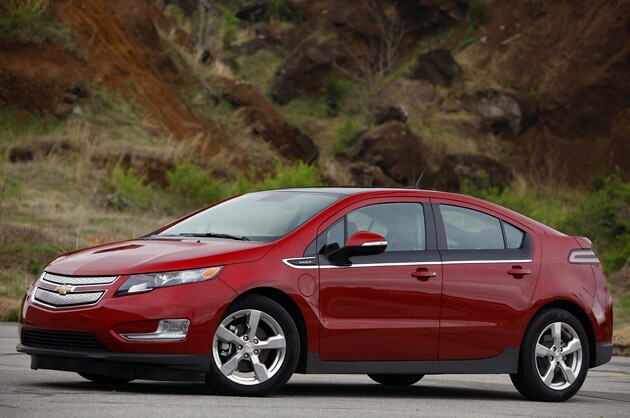 General Motors has revealed pricing for its 2012 Chevrolet Volt in the UK. The General says the Volt will cost £28,545 ($45,860 in U.S. dollars at the current exchange rate) when it hits showrooms in early 2012. That price includes the UK's £5,000 ($8,033 U.S.) Plug-in Car Grant. As an added bonus, all UK-bound Volts also come standard with leather interior. At £28,545, the 2012 Chevy Volt is more expensive than its electric-only rival, the Nissan Leaf, which costs £25,990 after the aforementioned £5,000 rebate. However, the Volt is less costly than its mechanically identical cousin, the Vauxhall Ampera, which is priced at £28,995 after taking into account the £5,000 subsidy. 2012 Chevrolet Volt priced from �28,545 in UK originally appeared on Autoblog Green on Wed, 06 Jul 2011 08:58:00 EST. Please see our terms for use of feeds. Speeding number one cause of in-car arguments?